Travis Green has opened a Truly Nolen franchise in Amarillo, Texas. Excited to be at its new northernmost point in Texas, Truly Nolen Pest Control recently opened at 6515 Storage Dr. in Amarillo. The franchise, which is the 12th Texas location for Truly Nolen, is owned by Travis Green. Green has franchising experience as he previously owned a Glass Guru franchise and a Scotts Lawn Service franchise. Prior to being his own boss, Green worked for 13 years in management with AT&T. “I decided to sell my Scotts Lawn Service and start a Truly Nolen in Amarillo because of the company’s core values and great reputation in Texas and beyond,” says Green. At press time, Green’s location is in the planning stages of a grand opening with the Amarillo Chamber of Commerce, and will be looking for other opportunities to partner with local entities at events. “I am proud to be part of the growing business community in our city, and I look forward to getting to know more customers and growing this new business. 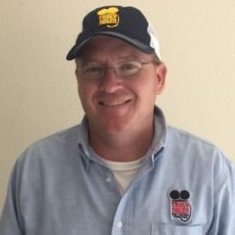 Greg Bohne, Truly Nolen’s vice president of domestic franchising, says Green went through training recently at the company’s Leadership Center in Tucson, and is pleased to have him as part of the company’s family.